Rethink Your Earnings-Is A $125,000 Employed Corporate Optometry Job Worth It? There are several other professions you could have pursued but you opted for a degree in optometry and decided to work in corporate optometry. Perhaps it was your drive to serve humanity, personal preferences, and the bright future you saw in the field of optometry or maybe a mix of all these reasons. Now here you are, graduated from an optometry school and choosing the corporate optometric firm to apply in. Or maybe you have been practicing for some time already. a. You are immensely satisfied with your job and couldn’t be happier. b. You are often too stressed out and wonder why you became an optometrist in the first place. If you belong in the second category then this article is just what you need to ease your worries. And if you belong in the first category, you must still give it a read. There are some aspects you definitely wouldn’t have considered till now. Read on to gain a crystal clear perspective on what you are investing and then earning in return. Based on US national averages, an optometrist normally earns around $125,000 per year. But before you let yourself be blown away by the huge figure, let’s do some quick math. There’s no denying that different workers earn a different amount each hour. For some professionals, an hour might be worth $50 while for others it may even be $500. And since an optometry job is about 9 hours per day (usually 10 am to 7 pm), if someone asks what your pay per hour is, you are likely to calculate it as follows. That’s a great amount, isn’t it? Sure enough, it might be. You do get benefits and holiday pay but how much of a value is it? Benefits have change over time in terms of pay out for health insurance and retirement. But only if it’s actually what it is. Here’s what you aren’t taking into account: do you really work for 8 hours each day? What about the time you spend getting ready for work, commuting to work and then commuting home back from work? What about some of the lunch breaks that you never take? Not to mention the traffic jams that take so much more of your time. Even if your job timings allow you to avoid peak rush hours, the struggle to wake up, get dressed, prepare lunch and then traveling to and from work add up to about five hours more, all catered around your ‘work.’ Add a family situation and it changes. So, think again. Does your job take only 8 hours of your day? And given the nature of optometry jobs, it is unlikely that you get both weekdays off, let alone any additional holidays. If you add in these factors and then recalculate the per hour pay, the figure almost halves! About 13 hours (8+5) spent on the job and job-related chores for an average of 6 days a week means that you earn approximately only $28 per hour. And that’s not it; it gets even worse. Sure enough that this approximation excludes paid holidays, sick leaves and the likes, but you also haven’t included yet the notorious factor that drains the life out of everybody. Adjust them and you are left earning only about $20 each hour. If you were self employed you could write off some of those expenses. Many other benefits of being self employed. A typical office schedule is 2- 3patients an hour with a tech and no administrative duties. Some corporate opticals will require the ODs to see 4-6 comprehensive eye exams with or without a tech and minimal admin tasks for practice management in the office such as optical dispensing, coding, contact lens , supplies and other additional roles. Seeing more patients per hour decreases your average salary even with bonuses. Many bonuses are taxed 50% and are not lucrative for the effort and work that you have to put into it. Being the only OD at that location seeing that many patients and be overwhelming and can lead to burn out and lost income over the years by taking extra time off and being less efficient in patient care as you once were. Some employment contracts have restrictive covenant that will not allow you to work in a certain radius of that office, thus restricting your ability to pursuing fill in opportunities and other lucrative jobs. This can be very critical in big cities where certain areas are over populated with opticals. Some corporate opticals do not like ODs to “cross brand” (work for competitors). Don’t limit yourself understand what your value is and how independent work can provide additional income in the long run and less hours. $20 an hour for 40 hours a week comes to $800 a week =42k a year. To be able to gain financial stability might take 10-15 years in the employed model and by that time if you are comfortable it is hard to change because of fear. Over time in a self employed position you have built a patient base, done fill in work to supplement your practice, built a brand in the community and worked less hours than what is needed. Your practice will grow over time and even though some corporate opticals have increase in salaries it does not match the potential income of a sublease or self employment. Controlling your own destiny has no monetary value! Needless to say, you must be astonished by now. If you are happy with your job it really is a good thing. But are you content with exchanging each hour of your life for $20 only for all the years to come? Paying off student loans and a mortgage can set you back sometime to financial freedom. Of course, the answer will differ for different people depending on how much their time is worth to them, their spending habits and expenditure and the approach they take to measure time and money. If you are not happy with your job, have doubts or think that the amount of efforts and time you are exchanging for a $125,000 salary just doesn’t add up then it’s time to do something else. The allure of employement sometimes does not measure out. The field of medicine and healthcare is not a walk in the park. Since you chose to become an optometrist it goes without saying that you want to achieve greater things in life. So don’t enslave yourself in a work that doesn’t seem to allow you to use your full potential. It doesn’t mean that you quit work altogether but meanwhile, you should start exploring other horizons. Look out for better opportunities that will help you accomplish what you want and if there appears to be no door leading to the path you seek then you shall create one on your own! Several fresh ODs despite their unwillingness take on corporate optometry practice as they are afraid they lack the knowledge and expertise to practice independently. If you are amongst them it’s time to break away. Get out of your comfort zone. Sure it won’t be easy but if you dream of managing your own practice then that is what you must do. Research well, seek help from friends and family, take advice from senior practitioners and consult relevant personnel who can guide and support you in realizing your dream. And in case you haven’t considered the option before or are reluctant to start your own business from scratch, why not buy a franchise or sublease another corporate optometrist? This too lets you be your own boss and handle things at your own pace comfortably. Self employment is a great option to carefully choose days and hours that make sense for your business. 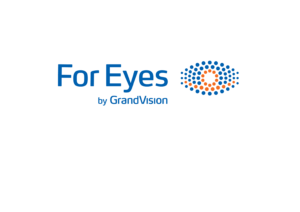 It might be that you have innovative ideas to improve the current treatment methods of ocular diseases that can perhaps even revolutionize the optometric industry. So follow your passion instead of sticking to a job that you don’t enjoy just for the reason that it ‘pays you well.’ Because as you found out above, that is not the case. Sure it won’t be easy to become an entrepreneur in optometry, but if you have the drive to excel, you can make it past the initial hurdles in no time. And what lies ahead will feel like a bed of roses because ‘work’ wouldn’t be a burden anymore. When you do what you love you will enjoy every second and every ounce of effort that you spend doing it. So find the idea that sparks you, do sufficient research and then plant the seed to bring your idea to life. And for the rest of your life? You sit back and enjoy the fruits of the tree you planted in your practice. So, if you are stressed out and don’t like your current job, it’s time to take action. You don’t want to be toward the end of your career being dictated what salary you should be earning, hours and how to practice optometry.